Why waste our time on the Royal Family? Hear ye, hear ye! Members of the Royal family have come to Norway… Who cares? 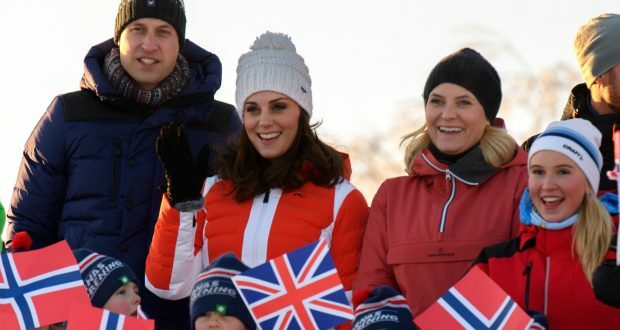 The Duke and Duchess of Cambridge are leaving Norway today, ending their Scandinavian tour on Friday, February 2. Their visit has been covered heavily in the news, both in Norway and in England. In the last couple of days, I have learned that the Norwegian king, King Harald, made a joke about the movie Love Actually, that Duchess Kate and Prince William walked through a park, and that Kate and William discussed mental health at a college in Norway. All this information leaves me with just one question: why on earth should I care? Who cares what the Royal family are talking about and what jokes they made? Well, obviously, a lot of people, otherwise it would not be in the news. But how is this information relevant to our lives? It doesn’t improve our lives, nor make it worse. The Royal family has no place in a modern society, as we live in a democracy, and we should all join together and use our voices to kick them off the throne. The Royal family creates an illusion that they are somehow better than the rest of us, an illusion which is frankly outdated. It is nothing personal. I am sure they are lovely, intelligent and amazing people, but no matter who they are – we do not need them. The Royal family, in my opinion, serves no purpose – except for reeling in a lot of money from tourism, obviously, and they give journalists stupid assignments to do – like finding out Kate’s favourite food or William’s favourite beverage. Again, could not care less. Apocalypse: did Derren go too far?